Summer is here and boy is it hot out. Perfect for some cool ice cream made from Real California Milk. Exercise and nutrition continue to be important even through the summer months. Between my hitting the gym early, my son active with baseball and my daughter deeply involved with her colorguard practice, we are non-stop. This means we have to be sure to fuel up each day. Fuel Up to Play 60 encourages kids to fuel up with nutrient-rich foods – which include low-fat and fat-free dairy, lean meats, fruits, vegetables and whole grains – and achieve at least 60 minutes of physical activity every day. In fact, dairy is a source of protein, calcium and vitamin D. Real California Milk represents the real foods from real people – dairy foods made with milk from more than 1,400 California dairy families. The right nutrition fuels play time with friends and family all year long and the Fuel Up to Play 60 campaign can help provide the tools you need. School may be out but learning to be a leader never stops. Encourage your kids to sign up to be a FUTP 60 ambassador, which encourages leadership amongst peers, healthy nutrition and physical activity. Kids can start learning more about FUTP 60 healthy eating and physical activity plays, earning points before the school year even starts! Don’t forget, helping kids succeed both in the classroom and throughout their lives starts with being a role model. Look for ways to encourage healthy eating and physical activity all summer long and see the difference once school starts in the fall. Visit www.fueluptoplay60.com/ for information and to get your kids and local school involved. This entry was posted in fun adventure and tagged #CADairy. From Daytripping Dad, Mike – My fondness for Knott’s Berry Farm has never waned. For a couple of years as a child, my family had season passes and our weekly tradition was to spend Sunday mornings at the Farm. Crowds were light and there is nothing quite like the smell of funnel cake in morning. While we had our regular rides that we would always hit, like the Timber Mountain Log Ride and Calico Mine Train, we would definitely always spend some time traipsing around Ghost Town. 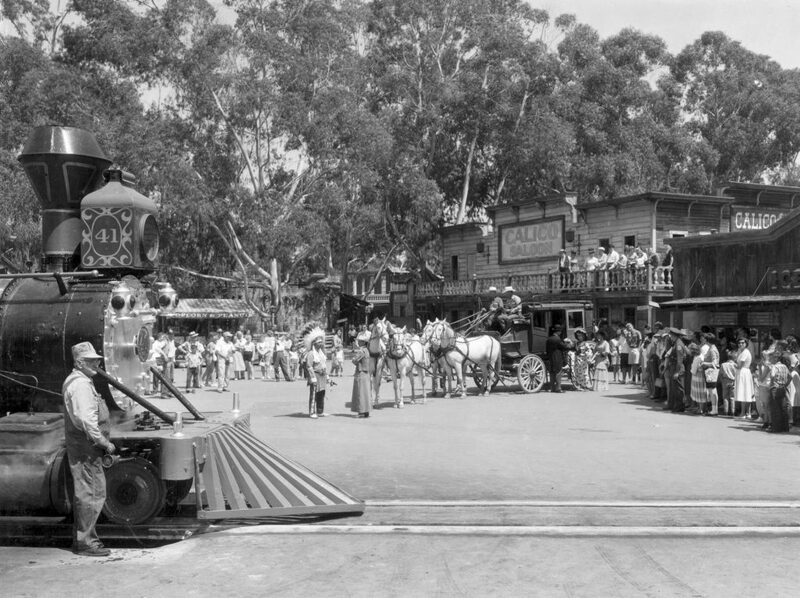 You may not be aware that this whole park started first with a berry farm, followed by Mrs. Knott’s Chicken Dinner restaurant to feed people, followed by Ghost Town to entertain people waiting for their seat at the restaurant. Much of the original Ghost Town was relocated here from buildings in real old west towns such as Prescott, Arizona. More additions came later until the park grew to the size that it is today. Luckily, Knott’s Berry Farm has never forgotten it’s heritage. 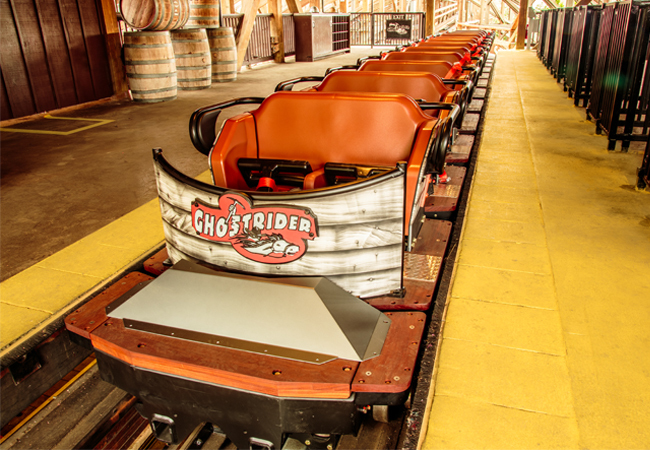 For the last couple of years, Knott’s has meticulously been restoring Ghost Town, which has now culminated with a refurbished GhostRider, Wagon Camp and an all new Calico Square Stage. Now through September 5, experience the old west town in a whole new way during Ghost Town Alive! Travel back in time to the boomtown of Calico and meet the lively town fold. Participate in daily activities and shape the events that unfold, like pledging one’s allegiance to notorious bandits, to saving the day alongside courageous cowboys! And every evening, the day’s story culminates with a town-wide celebration of 75 years of Calico. Don’t miss Ghost Town Alive! every day this summer, only at Knott’s Berry Farm. Visit Knotts.com for more information. 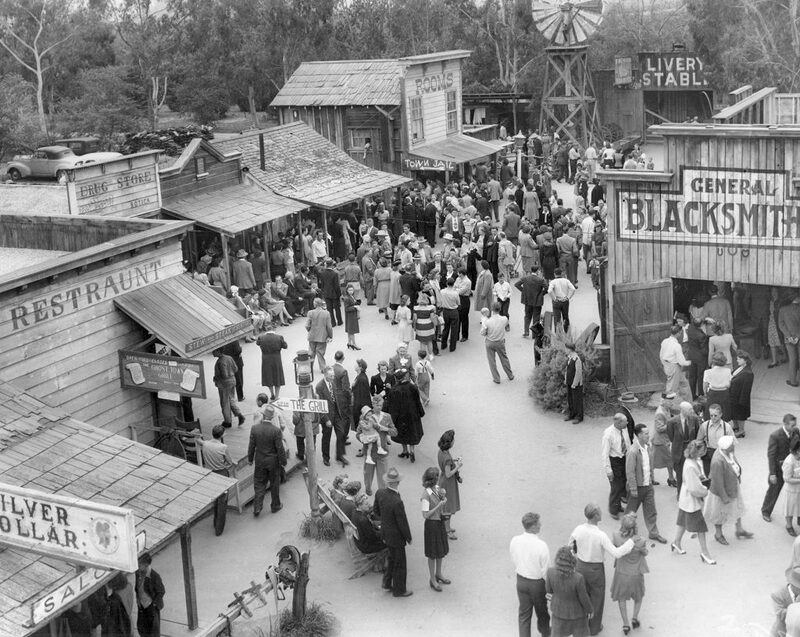 This entry was posted in fun adventure, Knott's Berry Farm and tagged #ghosttown75. Zootopia – Bring it home today! If nothing else, you have surely seen the hilarious scene featuring Flash, the DMV-employed sloth. 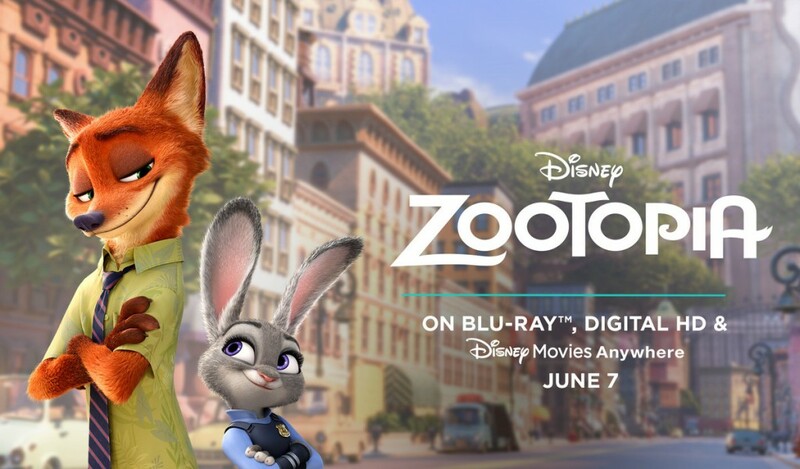 Zootopia is some of the best work from Walt Disney Animation Studios (WDAS). It should be noted that while Pixar is also Disney, they are completely separate animation studio with a different flavor and philosophy behind their pictures. WDAS carries on the legacy dating back to Snow White and the Seven Dwarves. Directed by Byron Howard (“Tangled,” “Bolt”) and Rich Moore (“Wreck-It Ralph,” “The Simpsons”) and produced by Clark Spencer (“Wreck-It-Ralph,” “Lilo & Stitch”), the progressive mammal metropolis of Zootopia is a melting pot where animals from every habitat live side by side and “anyone can be anything.” But when new rabbit police officer Judy Hopps (voice of Ginnifer Goodwin) arrives in town she discovers that being the first bunny on a police force of tough, hulking animals isn’t so easy. Determined to prove herself, she jumps at the opportunity to crack an unsolved, challenging case even if it means working with a fast-talking, scam-artist fox, Nick Wilde (voice of Jason Bateman), to solve the mystery. But the case leads these two unlikely partners to an uneasy conclusion that Zootopia’s “evolved” society is being pulled apart by unseen forces determined to use fear to take control of the city by turning predators and prey against each other. The Blu-ray is filled with more extras than you can shake a stick at! It’s truly one of our new favorites. You can order your copy today from fine retailers, including Amazon. It is also available On-Demand. This entry was posted in DVD and tagged #disney #bluray.